India, China, Southeast Asia. Willem Janszoon Blaeu (1571-1638) India quae Orientalis dicitur, et Insulae Adiacentes. 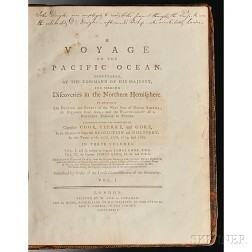 Central America. 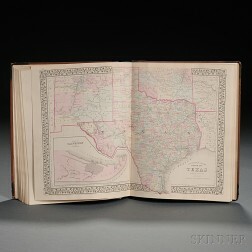 Willem Janszoon Blaeu (1571-1638) Maps of Chili, Paraguay, Guiana, and Venezuela. 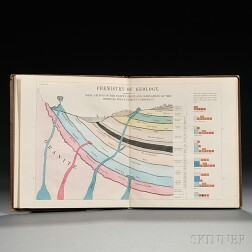 Map Collection, Fifteen Matted and Framed. South and Central America. 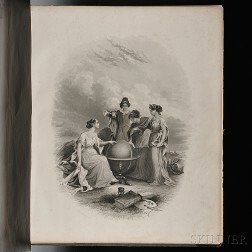 Johannes & Willem Blaeu. 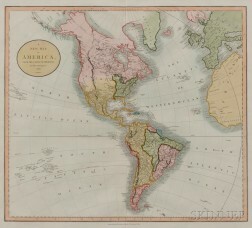 Maps of Brazil, Mexico, the Straits of Magellan, and Peru. 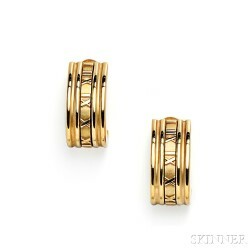 18kt Gold "Atlas" Earrings, Tiffany & Co.
Cook's Third Voyage, Captain James Cook (1728-1779) A Voyage to the Pacific Ocean. 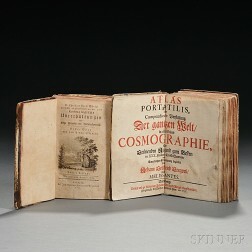 Gregorii, Johann Gottfried (1685-1770) Atlas Portatilis, oder Compendieuse Vorstellung Der Gantzen Welt: in einer kleinen Cosmographie. 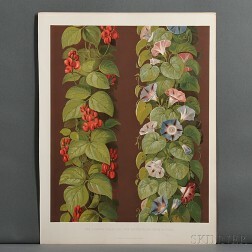 Gruner, Ludwig (1801-1882) Specimens of Ornamental Art Selected from the Best Models of the Classical Epochs. 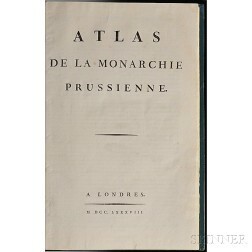 Mirabeau, Honore-Gabriel de Riquetti, Comte de (1754-1792) Atlas de la Monarchie Prussienne. 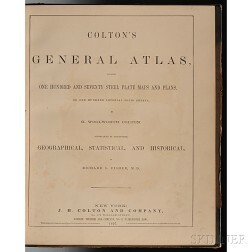 Colton's General Atlas of the World. Newport, Rhode Island. 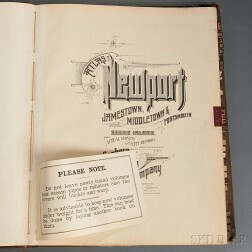 Atlas of Newport, Jamestown, Middletown & Portsmouth. 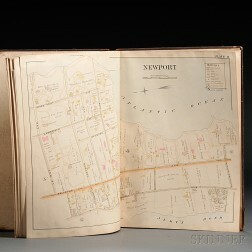 Rhode Island, Newport and Providence, Atlases and Other Books, Seven Volumes.